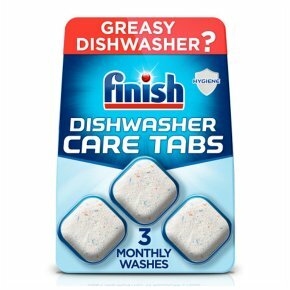 For better dishwasher performance, use finish additives together with finish multi-benefit detergents. How to Use: Fill your dishwasher and place your standard detergent into dosing chamber. Place Finish Dishwasher Cleaner pouch on the bottom of your dishwasher. Run regular dishwashing cycle. Use monthly to keep dishwasher clean from grease & grime. Do not unwrap, pierce or cut the pouch. Use with dry hands only. Fits all dishwashers. Use monthly.